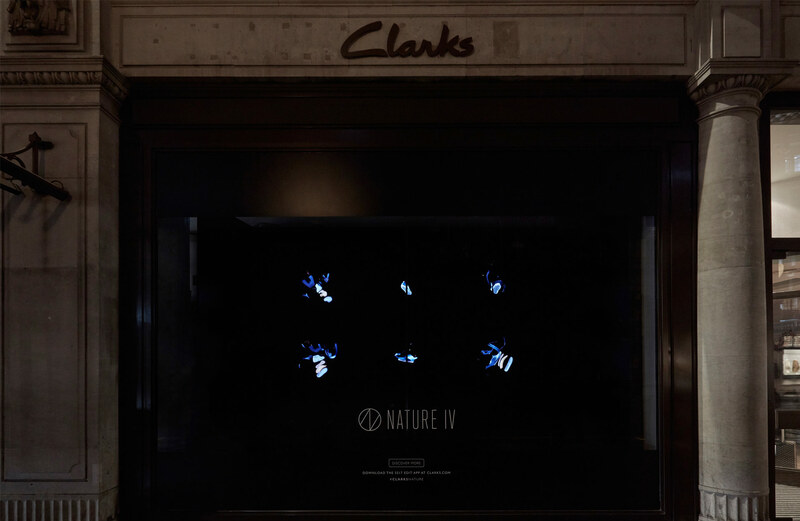 To elevate the product, Clarks have used a new holographic technology. The hologram uses a propeller mechanism that uses a patented combination of chips, magnets and LEDs. 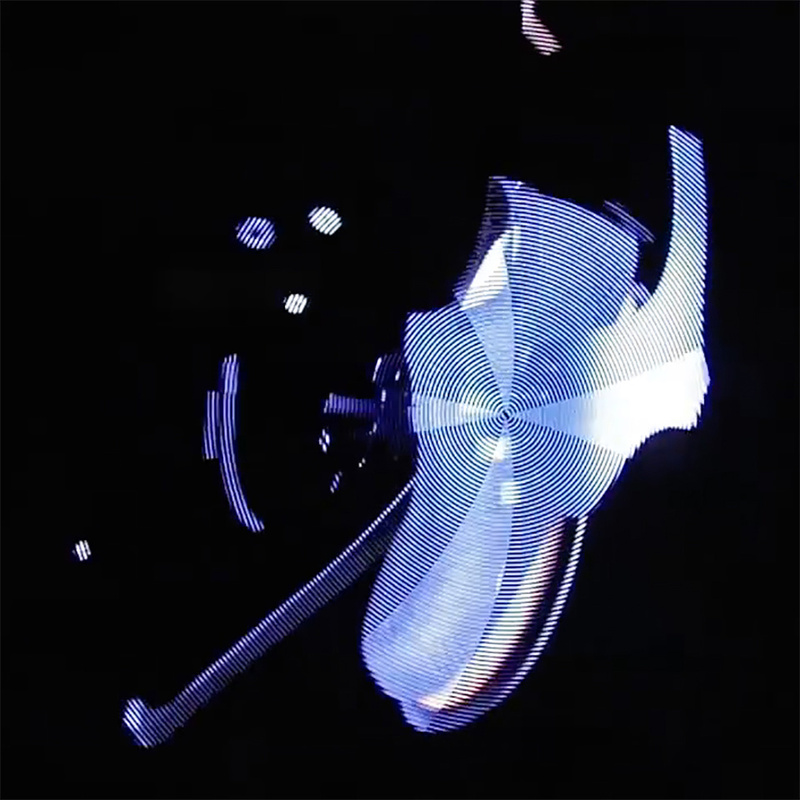 As blades with LEDs rotate, they create the illusion of an object hovering in the air. 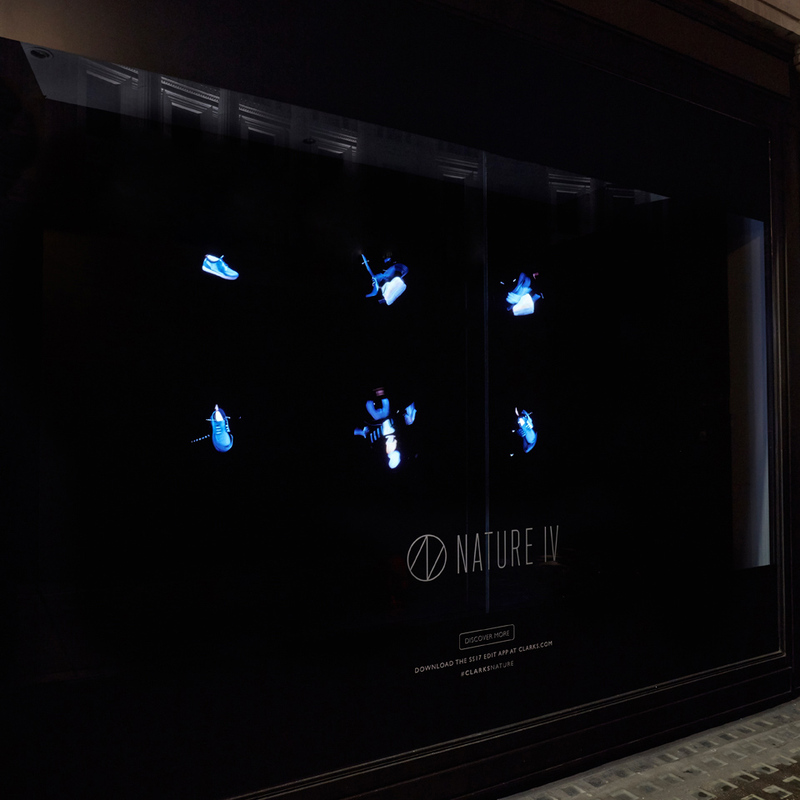 In this case, it projects our Nature IV shoe breaking into all of its component parts.